You’ve probably heard of complementary and alternative approaches to helping aid in infertility, yoga and acupuncture chief among the most popular. If you’ve tried either of these modalities, then you’ve probably realized at least one thing and that is that they promote relaxation. In my practice, I’ve noticed that most women that I care for are in a state of anxiety. Relaxation is crucial to managing infertility stress and if acupuncture or Yoga are the entry into meditative deeper breathing then so-be-it. We, as Americans, tend to be higher strung when dealing with infertility and will do whatever means necessary to become pregnant. I was one of those women but knew that getting pregnant was going to be a slow process due to my diagnosis of stage 4 endometriosis. At age 35 and never having been pregnant, I had done multiple rounds of acupuncture, meditation classes, yoga for fertility, tried numerous supplements, ate a clean diet, and got plenty of gentle exercise. All of which helped me relax and feel a part of helping myself to become pregnant and deliver a healthy baby. Yet, I still wasn’t pregnant. Knowing that my past had included 3 laparoscopies I knew that there had to be a great deal of scar tissue in my pelvis. Moving forward, I was told by my reproductive endocrinologist that I needed IVF, and in my heart, I felt otherwise. He told me that my organs were in poor condition and that we’d have a 19% chance of conceiving on our own. We felt most comfortable with trying a drug called Follistim along with intrauterine insemination in which we did 3 cycles and I did not get pregnant. Finally, after a group of my professional Mercier Therapy students worked on me we conceived without drugs or insemination the very next cycle. I did go on to miscarry that pregnancy and the second one too. The fact was that I was getting pregnant and this was a very good sign. My third pregnancy was the charm! I was cared for by my midwife, Hillary Keiser, CNM, and delivered a healthy baby girl in October 2011. The field of massage therapy is changing and evolving to allow a more clinical application for very specific consumer needs for areas such as women’s health, cancer care, and elder therapy. I went to massage therapy school in 1994 and, at that time, our profession was very sports therapy oriented. Most of the elective classes were whole body focused and rehabilitative or for relaxation. Once I finished with school, I started to notice some variations for more bodywork modalities that seemed of interest to me because of the clinical aspect being addressed. Over time I took an interest in women’s health so Bodywork for the Childbearing Year with Kate Jordan seemed to be the best next step for me. I loved the work which slowly lead me to training as a midwife, and for 2 years during my undergrad I worked in my own private practice and simultaneously as a fertility clinician at a large Reproductive Endocrinology practice, where I learned so much. I learned how to monitor a woman through a medically-assisted reproductive cycle such as in vitro fertilization and perform intrauterine insemination. It was fascinating to me and puzzling at the same time. I would notice on an ultrasound or through insemination the fixation of the uterus. The uterus was literally fixed in place without good movement. Little did I know at that point my path was set. I proceeded to learn as much as I could about women’s pelvic pathology and anatomy. My path led me to traditional osteopathic manipulation and Gynecology. My undergrad training had prepared me for medical school, so naturally I set out to seek the next best step for my upcoming career. A friend of mine, Richard Demir, MD who is an Ob/Gyn allowed me to follow him to observe many gynecologic surgical cases where I’d watch him perform hysterectomies, laparotomies, and laparoscopies. I learned so much during this time, concerning how a surgeon thinks and operates with regard to dissecting scar tissue from prior pelvic surgery or damage from a reproductive health issue. I observed how important the length of time in which to finish the surgical procedure was to the health of the patient. Surgeons work to employ very careful techniques during surgery, so as not to cause damage to the female organs and surrounding structures. It was eye-opening and confirming to me that scar tissue is one of the main culprits concerning lack of organ mobility. The time that it took to clear the area of this tissue needed to be kept to a minimum so the patient was not unnecessarily under anesthesia longer than needed. Once the scope was placed into the abdomen it was clear to me the organs weren’t moving effortlessly against one another for proper blood flow and optimal function. I now felt I had the building blocks to create a truly revolutionary way to improve women’s reproductive health. In creating my practice, I knew that I wanted to specialize in women’s health but couldn’t really find the right course of study that was appropriate for my scope of licensure. Pregnancy massage was wonderful but what about women that were trying to conceive? Was there a good training solution for us therapists that wanted to help in this capacity? I found none. At the time, most courses geared toward physical therapists who wanted to help women conceive focused on female hormones and pathologies, medical fertility cycles, gynecological surgical procedures, and vaginal (pelvic floor) work. So I ventured on a course of discovery of how I could come up with a training program suitable and easily implemented for all licensed health professionals. My journey took me to France, Mexico, Jamaica, Switzerland, Holland, Austria, and Italy, and along the way, I learned that I had a pretty staunch case of endometriosis. At that time, I was in my early 20’s, and my own reproductive health circumstances only fueled my desire to hone Mercier Therapy techniques even more. Mercier Therapy is a deep pelvic organ visceral manipulative technique in which the reproductive organs are mobilized and blood flow restored. Organ restrictions are relieved and movement replenished amongst the organs and surrounding structures to enhance their natural and most optimal function. Many women that I see have undergone some type of pelvic surgery or procedure that can be responsible for creating adhesive-like scar tissue. The example that I use to explain why organ mobility and blood flow are crucial for best functionality is to think about a shoulder injury and what would happen if that shoulder is not being properly rehabilitated? The injured shoulder joint and musculature would become very stiff, blood flow would eventually be restricted and pain may become the new normal. Does reproductive organ immobility contribute to infertility? I believe that is does and just to prove my theory I ask that you think about the shoulder scenario and apply that to your heart, lungs, stomach, liver etc. Can you optimally function with a semi-permanent restriction? All of our organs move against each other flawlessly upon inhalation. A restriction in that movement could cause damage elsewhere and a cascade of effects may occur. Could we simply apply some maneuvers to relieve the immobility? Absolutely. Mercier Therapy protocol is a six-hour regime broken up into one hour weekly sessions in which we work via the abdomen to accomplish our goal of releasing organ restriction. The fertility program can be used as a standalone regime or to help prepare a women for assisted reproductive cycles. No one would run a race without the proper training and therefore should not go into medically-assisted cycles without preparation to optimize the very first cycle. I never did make it to medical school which was by choice. My acceptance letter still sits there and I’m happy to say that I love what I do now and it is not the practice of medicine but rather holism and naturopathy. Life leads you to the exact place where and when you are needed. I feel so blessed with my past personal and professional experiences which have deepened my passion for my work. There’s nothing greater than hearing of a pregnancy from a woman that struggled for so long to conceive. Our evidence-based research study concluded in September 2012 and proved an 83% pregnancy success rate. The abstract entitled: Mercier Therapy Helps Infertile Women Achieve Pregnancy and was published in the Spring 2013 edition of the Midwifery Today journal. Today I work to help couples achieve optimal reproductive health in order to achieve pregnancy and improve quality of life. I also train healthcare professionals from around the world to learn to apply Mercier Therapy in their own private practice. If you would like to learn more about Mercier Therapy to see if this natural fertility option may be right for you, visit my website at www.drjennifermercier.com. I also have a documentary film about fertility treatments, how modern society views helping couples with infertility, and how Mercier Therapy can help. To view a preview of Fertility – The Shared Journey with Mercier Therapy please visit MercierMovie.com. Where could I find a Mercier therapist in Zurich/Zug, Switzerland. My gyni, just laughed at me when I asked her about it and said I really should stop messing about if want a child at 42. She insists IVF is my only option.I’m medically healthy and fertile, same for my husband. I am so sorry! Have you thought about seeking another doctor to work with who will be supportive? In any event, please visit Dr. Mercier’s site or contact her if you would like to learn more about her work and ask about a practitioner near you. Her website is listed at the bottom of this article. does the therapy involve massaging of the abdomen where key organs reside? the method you explained isn’t clear to me. Hello! Now you really do have the BEST fertility website after highlighting Mercier Therapy. Mercier Therapy helped me get pregnant after years of infertility. 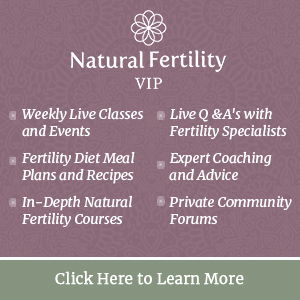 I tried the infertility doctor with clomid and IUI’s, then acupuncture, herbs and eating a clean diet, everything I could do that I knew at that time. Then Dr. Mercier took me on as one of her research patients after having 11 years of infertility with no pregnancies. I knew she was for real to take me on. Within 8 months I was pregnant! We now have a little girl and I have gotten pregnant a 2nd time with no intervention. God has put healing in her hands and in her work for infertile couples! I am so thankful for her work! Thank you for sharing your story! We know how helpful the experiences of others can be for those still struggling. Thank you for such a fantastic article – and one which resonated deep within me as I read it.. In the past I too have had a laparoscopy and am potentially considering having a hysteroscopy (after sudden extremely heavy and painful periods); as well as two failed IUIs following an unexplained infertility diagnosis. In my heart I know I’m meant to conceive naturally, despite most of the medical profession seemingly writing me off as a lost cause. As I happen to live in the UK, would you have any provisions that I could take into using Mercier Therapy over here, or even perhaps following a video demonstration or via Skype? It sounds like exactly what I’m in need of. Thank you, kind regards. I am so thankful this information has been helpful! It is best to seek the support of a qualified Mercier Therapy practitioner. There is a link to a list of practitioners in the article Mercier Therapy – An Effective Holistic Fertility Treatment. There will also be contact information there if you do not see a therapist near you. Hello! If there are no practitioners in the UK that do Mercier Therapy, I would seriously think about contacting Dr. Mercier to see if you could work something out about an intensive week or two here or something. Or see if she has any other ideas or options for you. If you are desperate to get pregnant, it would be worth your time and money to get in contact with her and think about coming to see her. She is an amazing person and her work is amazing! See my comment about my journey and how she has helped me. I utilize the Mercier Therapy in Arizona. This modality is a gentle way to prepare the body to conceive, naturally or along with IUI or IVF. Allow us to help you maintain that positive outlook throughout this challenging period. Thank you for sharing this Glenda! Our practice in Dallas is so proud to be using this technique and helping women from that emotional roller coaster of not even ovulating to restored reproductive health. If you are in the Dallas metro area and are interested, find us at askdrskip.com.